Or as low as $14.00 per month over 12 months. Apply Now. 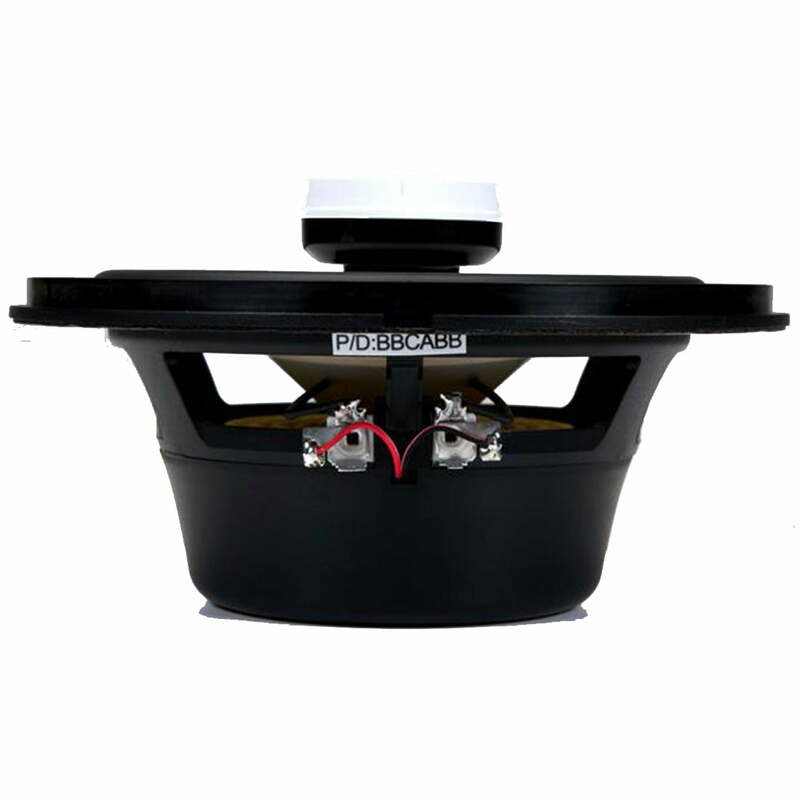 Marine speakers don’t just need to sound good — they need to last, too. 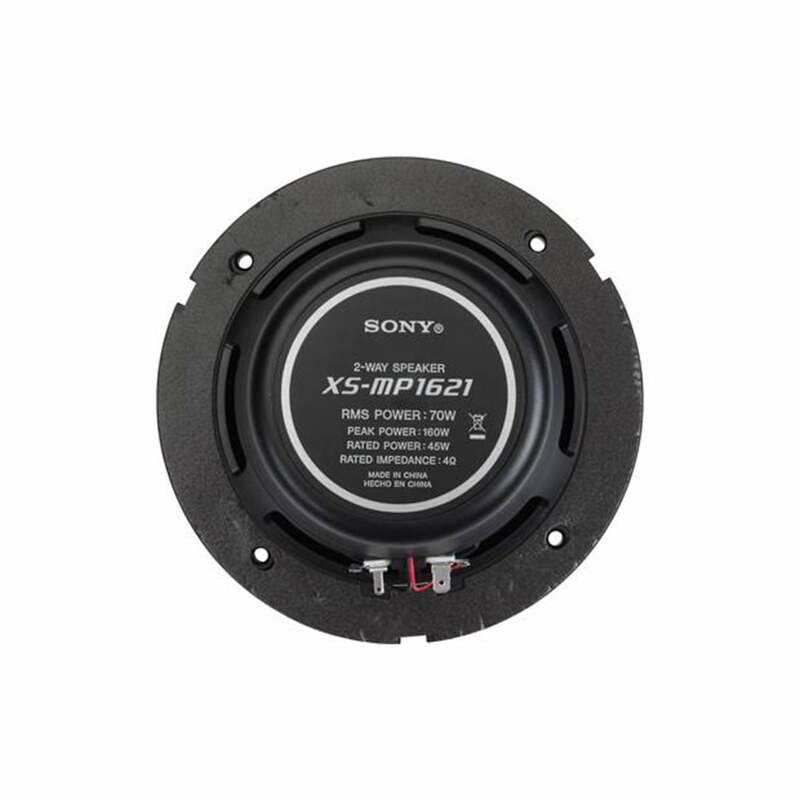 The Sony XS-MP1621 marine speakers have the auditory bases covered, thanks to responsive polypropylene woofers and tweeters, while durability is ensured with UV-protected components and a water-resistant design. 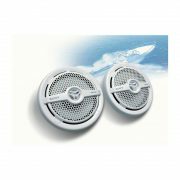 And, thanks to the sharp styling of the grilles, these 6-1/2″ speakers will cut a fine figure in your boat’s bulkhead. Don’t like white? 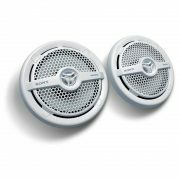 No problem, the grilles are paintable, so you can customize the look to match your style. These speakers sound great, and more importantly, they are built to keep sounding great in the marine environment. Built specifically to withstand the damaging effects of salt, water and UV rays. 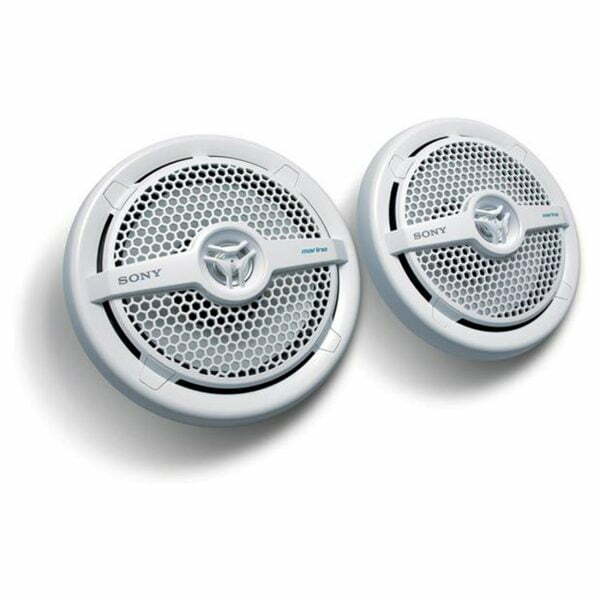 These rugged 2-way 6 1/2″dia. 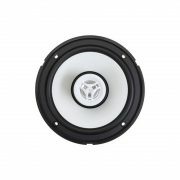 speakers can handle 160W of peak power (70W RMS) and feature responsive water-resistant polypropylene woofers and tweeters that provide outstanding full-range sound. Broadened frequency response offers superior high- and low-frequency sound (35Hz-26kHz). Flush-style installation. 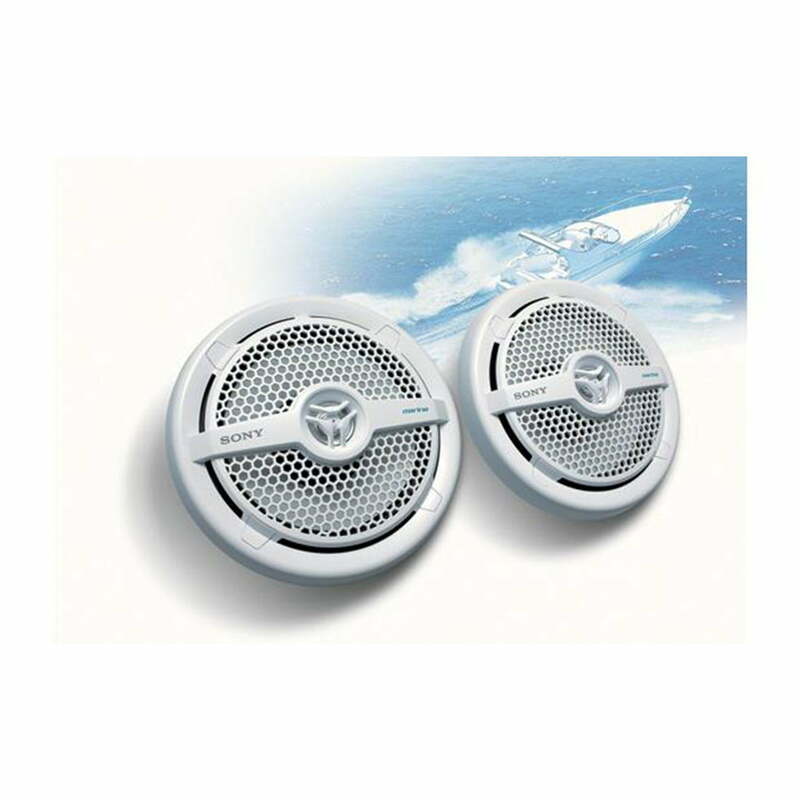 UV and Water Resistant: These marine speakers feature UV and water resistant removable white grilles, speaker baskets, polypropylene cones, rubber woofer surrounds, and poly cone tweeters. Polypropylene Woofers: Each speaker has a 6-1/2″ polypropylene woofer cone that rejects UV contamination and moisture. Each woofer uses a UV and water resistant rubber surround. 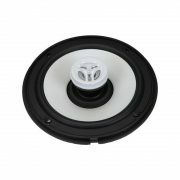 Tweeters: Each speaker uses a 1-1/8″ poly cone tweeter for smooth, clear highs.